Quiet and extremely effective - just like real rowing! 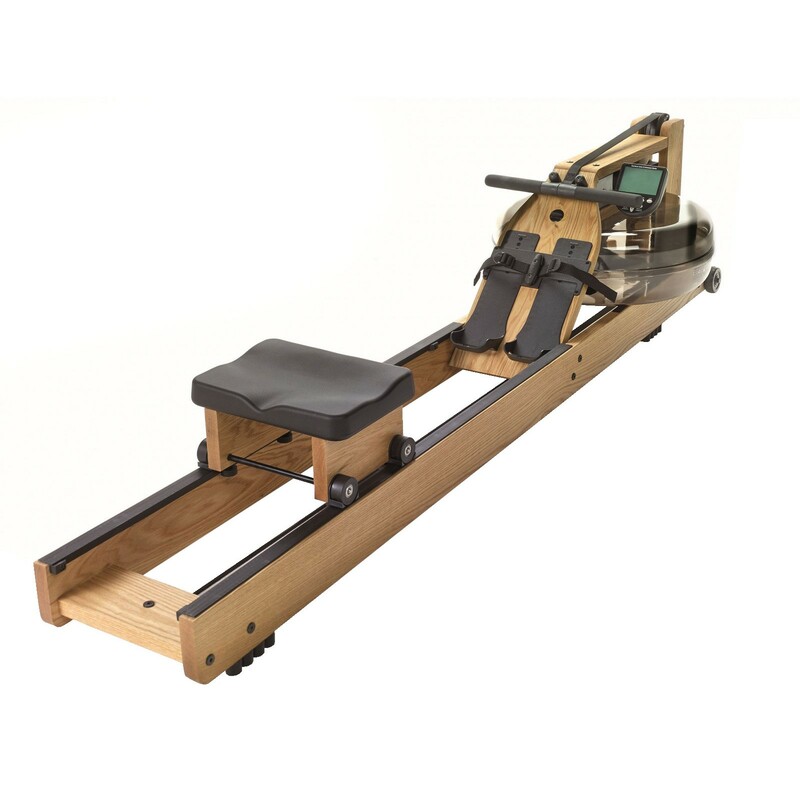 The core of the WaterRower rowing machine is the water tank with the patented ergonomically formed water paddle. Based on rowing in nature you can feel in each row a soft and extremely realistic pull. The intensity is increased the harder you pull. 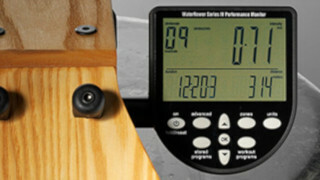 The S4-performance monitor was especially designed with rowing training in mind. It clearly shows all important training data: Amount of rows, Total Time and per 500m/2.000m, Watts, Calories burnt, Distance, Zone training and more. You can set your individual rowing workout through the selection function. The ergonomically formed seat slides almost silently over the two rails during training, thanks to the ballbearing rollers made out of wear-free plastic. Optionally you can upgrade the seat with the WaterRower gel seat cover. 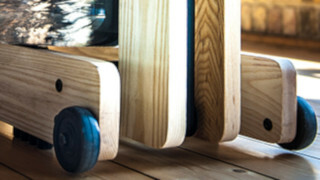 The foot pads, fully made out of durable wood, can be adjusted to perfectly fit your shoe size. 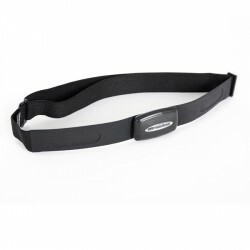 The adjustment straps provide a secure hold during your rowing workout. Your foot pads are located next to each other for the optimal training position. Even tall people can comfortably train on a WaterRower rowing machine thanks to the long slide rails. When needed there are also wooden frames in XL size available for users over 2m tall. Don't hesitate to contact us if you want these rails. 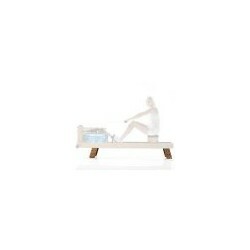 The WaterRower rowering machine can be space savingly stored away. The rowing machine can just be stood up out of the way. That decreases the space dimensions of the WaterRower to 50cm x 56cm between training sessions - a big advantage for use at home. Resistance is produced by a water wheel: the stronger the stroke, the higher gets the resistance. The actual dynamic of rowing is ideally reproduced. The increase in intensity depends upon speed and you determine naturally and individually the pace. The basic resistance is infinitely variable via the quantity of water filled in! 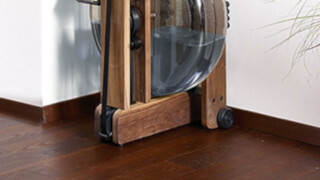 The WaterRower Oak combines quality, noble design, natural materials and sustainable production. 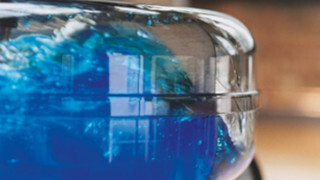 It is hand-made with the up-most care and attention to detail. 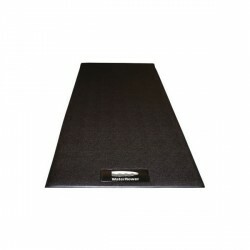 This fitness machine fits perfectly in every living space with its attractive, timeless design. 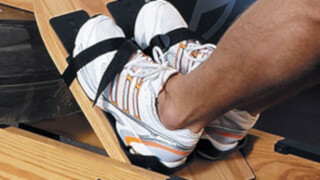 Rowing on the WaterRower optimally combines strength and cardio training. The training resistance is produced through the natural element of water. The WaterRower Oak rowing machine is produced so durable that it can be used for professional needs in gyms and public institutions. 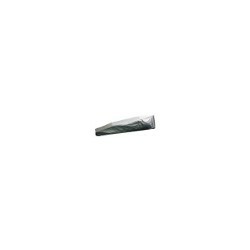 Experience an authentic rowing feeling with water resistance. The rowing movement is faithfully simulated just like in nature. When the paddle moves in the water tank you can feel the water element and even hear the queit splashing of water – a pleasant sound that also relaxes the senses. The rowing movement is comfortable and even, without overloading the spine. Just like "real" rowing the resistance is automatically adjusts by how hard you pull in your row: increasing your power will increase the resistance. 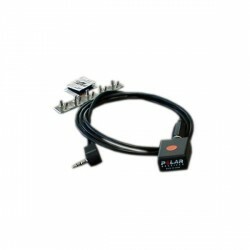 So you decide the intensity through your actions, without the need to change a setting on a training computer at any time. Upgrade your rowing training on the WaterRower Oak rowing machine with the We-Row, the free rowing software from WaterRower. We-Row offers you the possibility to evaluate and improve your fitness program. You can also participate in a race against other rowers or against your personal best time. Your rowing date would be saved in the databank and can be accessed at all times. Use of the software is very intuitive so that you can immeadiately start without any problems.